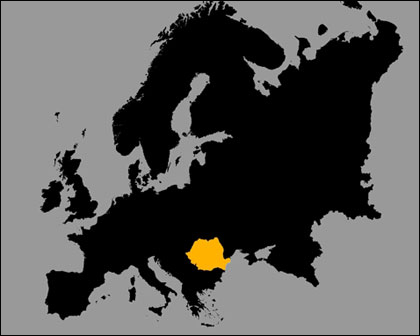 Romania is situated in the southeastern part of Central Europe and shares borders with Hungary to the northwest, Serbia to the southwest, Bulgaria to the south, the Black Sea and Ukraine to the southeast and to the north and the Republic of Moldova to the east. Geographical location of Romania: between latitudes 43° 37' 07" and 48° 15' 06" North and longitudes 20° 15' 44" and 29° 41' 24" East. Romania extends approximately 300 miles North to South and 400 miles East to West. Bucharest - the capital city of Romania - is aligned approximately with the cities of Portland, Oregon; Montreal, Canada; Venice, Italy; and Bordeaux, France. Romania's territory features splendid mountains, beautiful rolling hills, fertile plains and numerous rivers and lakes. The Carpathian Mountains traverse the center of the country bordered on both sides by foothills and finally the great plains of the outer rim. Forests cover over one quarter of the country and the fauna is one of the richest in Europe including bears, deer, lynx, chamois and wolves. The legendary Danube River ends its eight-country journey through eight European countries at the Black Sea by forming one of the biggest and most interesting wetlands in the world, the Danube Delta. About a third of the country consists of the Carpathian Mountains (also known as the Transylvanian Alps). Another third is hills and plateaus, rich with orchards and vineyards. The final third is a fertile plain, largely devoted to agriculture. The Danube River runs through the country, from northwest to southeast, culminating in the Danube Delta and the Black Sea. 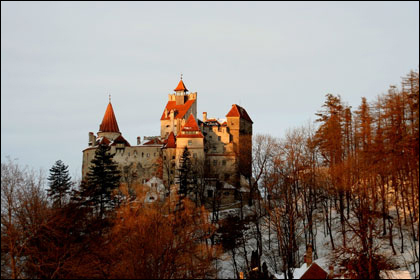 Romania's numerous castles perhaps best illustrate the country's medieval heritage. Many castles and fortresses in Romania feature unique architectural elements and styles that reflect local traditions, customs and purpose. While castles built from the 14th to the 18th Centuries are strong and austere fortresses built mainly for defense against invaders, those erected beginning in the late 1800s are imposing and luxurious. Romania's best known castles and palaces are: Peles Castle, Bran Castle, Corvinesti Castle, Bucharest - The Royal Palace, Parliament Palace, Sutu Palace, Cantacuzino Palace, Mogosoaia Palace, Bruckental Palace - Sibiu, Baroque Palace - Oradea, Banffy Palace - Cluj, Dinu Mihail Palace - Craiova, Palace of Culture - Iasi. 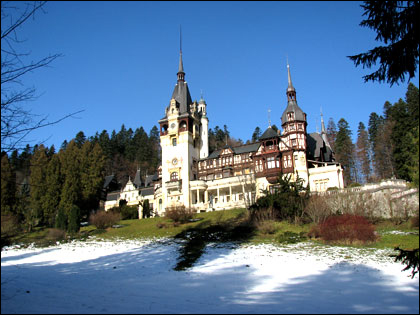 Peles Castle is considered by many one of the most beautiful castles in all Europe, Peles Castle is a masterpiece of German new-Renaissance architecture. Commissioned by King Carol I in 1873 and completed in 1883, Peles' interiors are an opulent display of elegant design and historical artifact. Its 160 rooms are adorned with the finest examples of European art, Murano crystal chandeliers, German stained-glass windows, walls covered with Cordoba leather, Meissen and Sevres porcelains, ebony and ivory sculptures. Bran Castle is a fortified medieval castle, often referred to as Dracula's Castle, was built in 1377 to protect nearby Brasov from invaders. It also served as a customs station. The castle's rooms and towers surround an inner courtyard. Some rooms are connected through underground passages to the inner court. In 1920, the people of Brasov who owned the castle offered it as a gift to Queen Maria of Romania, and the castle soon became her favorite residence. The Palace of Parliament, Bucharest, is the world's second largest building after the U.S. Pentagon. Commissioned by Romania's last communist leader, Nicolae Ceausescu this magnificent, yet controversial, building of 6,000 rooms reflects the skill of Romania's best architects and craftsmen. Nicolae Ceausescu personally oversaw the work of more than 400 architects and 20,000 workers who used exclusively Romanian made materials, accessories and decorations as marble, cherry and walnut paneling, crystal chandeliers, hand-woven tapestries, carpets and draperies. Construction began in 1984 and ended in 1989. However, finishing work continued after 1989. 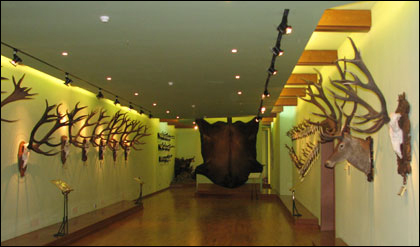 The Hunting Museum of Posada displays, in a most adequate arrangement, varied hunting exhibits, including impressive collections of trophies, works of arts, specific hunting tools characteristic for several stages of human development. True galleries of art, the halls of the museum catch the visitor’s eyes both thanks to the considerable number of exhibits and the distinct personality of each piece, from the ebony and ivory forest of roe deer and stag horns, to the comprehensive panoply of wild boar fangs or the harmonious, rich pearly quality and colour contrast of roebuck horns. From the category of predators stand out the furs of wolf, lynx, bob cat and, above all, bear, giving an inkling of the vigour and number of these populations of wild animals. The art of hunting finds thus a formidable expression in the Hunting Museum of Posada that puts forth numerous assets of this occupation in Romania against a backdrop of genuine aesthetic and cultural emotion. 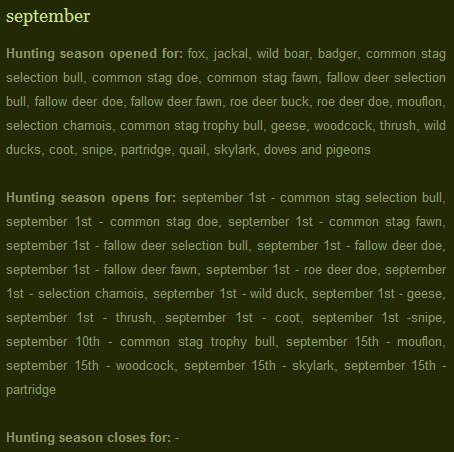 "August von Spiess" Hunting Museum In 1963 was bought the Spiess collection summing up 1058 pieces. 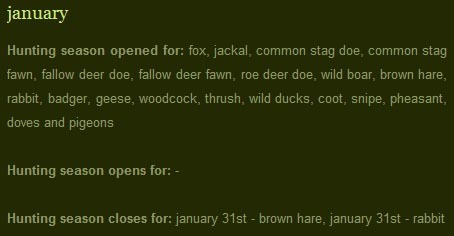 The Hunting Museum grew from it and the relevant collection of the Transylvanian Society for Natural Sciences in 1966. The museum was reorganized in 1981. The museum building was made at the end of the 19th century, and was inhabited by colonel August von Spiess, a former master in hunting of the Royal Court. The exhibits include hunting weapons and trophies (Spiess collection), poaching weapons, traps and snares, naturalized animals, photographs. 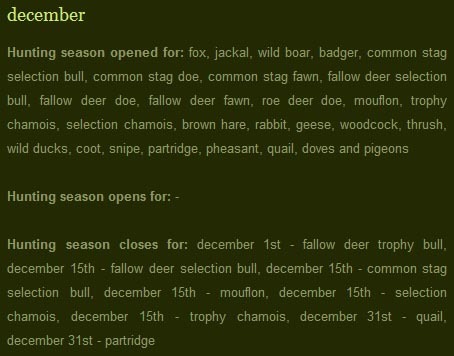 The collection comprises also wildlife with hair, wildlife with feathers, complementary materials (weapons, tools and accessories for hunting). Natural Sciences and Hunting Museum Established in 1952, the museum opened officially in 1957. In 1974, it moved to the current location The museum presents monuments of nature, rare species of plants and animals, as well as common vertebrate species (fish, amphibians, reptiles, birds and mammals) from Dorna region. The cynegetic exhibition presents: the spreading of game animals in Suceava county, elements relating to breeding and choosing game animals, hunter's interior and objects made from furs, horns, as well as stag and deer horn trophies, wild boar fangs, and various furs. The museum also owns a geology collection. Sighisoara, which Vlad Tepes called home, is one of the most beautiful towns in the heart of Transylvania. German architectural influences are visible throughout the entire city. 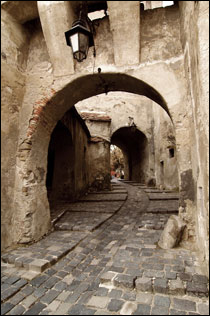 Sighisoara was for several centuries a military and political stronghold. One of its most famous attractions is the Clock Tower (Council Tower), built in the 14th Century. This was the control tower of the main gate of the 2,500 foot long defensive wall. The tower has seven foot thick walls and was used to store ammunition, food reserves, archives and the city's treasures. The clock was placed in the tower in the 17th Century. Highlights include: Guild Tower, Venetian House (built in the 13th Century), Vlad the Impaler (Dracula) House, Antler House, Wooden Covered Staircase, Hill Church, Hermann Oberth Square. Among the most picturesque treasures of Romania are the painted churches located in Bucovina, many of which are protected by UNESCO as part of humankind's world heritage. These richly decorated houses of worship are "albums" of fresco art that have survived the elements since the 15th century. 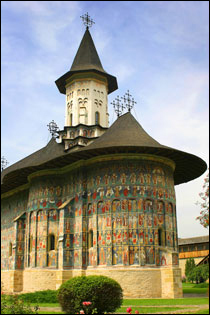 The Voronet Monastery Church in Bucovina, founded in 1488 by Stephen the Great, is widely known throughout Europe as "the Sistine Chapel of the East," because of its interior and exterior wall paintings, which offer an abundance of blue-chromatic frescoes featuring a color that has come to be known as Voronet blue. The frescoes of this church and many other painted churches in the Bucovina region illustrate biblical scenes, prayers, episodes of sacred hymns and themes such as The Last Judgment and The Ladder of St. John, all variously featuring the colorful and detail-rich imagery of apostles, evangelists, philosophers, martyrs, angels and demons. Beside their vivid frescoes the painted monasteries are famous for the original way of depicting beliefs or events: Sucevita with its unique "Ladder of Virtue"; Humor, featuring the devil amusingly depicted as a woman, and Moldovita, where a monumental scene of the Siege of Constantinopole is displayed. The waters of the Danube, which flow into the Black Sea, form the largest and best preserved of Europe's deltas - The Danube Delta (Delta Dunarii). The Danube Delta is home to more than 300 migratory and permanent bird species; 160 kinds of fish that include caviar-bearing sturgeon and 800 plant families. This wetlands preserve covers more than 1,678,000 acres (2,622 sq. miles) comprising channels and canals widening into tree-fringed lakes, reed islands, numerous lakes and marshes, oak forests intertwined with lianas and creepers, desert dunes and traditional fishermen villages. The Danube delta lies on the coast of the Black Sea in the eastern part of Romania, in Tulcea County, and encompasses the area between the branch rivers Chilia, Sulina and Sfintu Gheorghe, the former creating the boundary between Romania and the Ukraine. The site also includes the Razelm-Sinoie complex of lakes Razelm, Sinoie, Zmeica and Golovita to the immediate south of the delta. Area: 1,678,000 acres including 254,517 acres marine. The entire delta region comprises 1,974,000 acres of which 1,678,000 acres are in Romania and 301,468 acres in the Ukraine. The Razelm-Sinoie lagoon complex adds a further 218,000 acres. Altitude: Sea-level to 49 feet. The prevailing continental climate, with only 18 inches of annual rainfall, is temporarily influenced by proximity to the sea and the humidity rising from countless inland lakes and small waterways. This is the largest continuous marshland in Europe which includes the greatest stretch of reedbeds probably in the world. The marsh vegetation is dominated by reeds Phragmites australis which form floating or fixed islands of decaying vegetation ('plaur') with some Typha angustifolia and Scirpus sp. 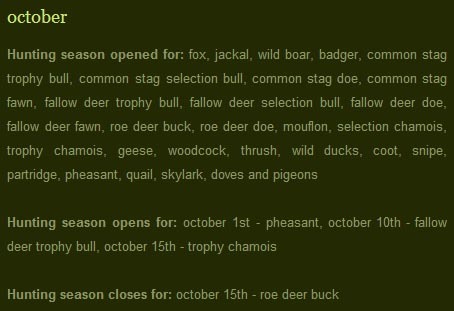 Reeds cover some 420,000 acres and 'plaur' 247,000 whilst the total area not included is only 36,570 acres. There are also water lilies Nymphaea alba and Nuphar luteus and Stratiodes alloides. The higher ground supports stands of Salix, Populus, Alnus and Quercus. Sandy areas are covered with feather grass Stipa sp. 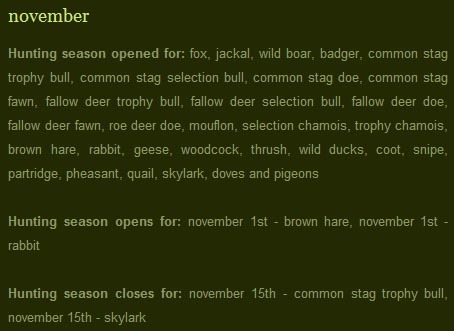 and other steppe species. Forest elements are best observed in Letea Forest, occurring in a series of bands along dunes up to 820 feet long and 33 feet wide, where trees reach 115 feet in height. The species present are Quercus robur, Q. pedunculiflora, Populus alba, P.nigra, Fraxinus ornus, F. angustifolia, F. palisae, Pyrus pyraster, Tilia tomentosa, Ulmus sp., and the occasional Alnus glutinosa. Among the shrubs are Crataegus monogyna, Euonimus europea, Cornus mas, C. sanguinea, Rhamnus frangula, R. catharctica, Viburnum opulus, Berberis vulgaris, Hippophae rhamnoides, Tamarix spp. and occasional Corylus avellana. The distinctive feature of the forest is the abundance of climbing plants including Periploca graeca, Clematis vitalba, Vitis sylvestris and Humulus lupulus. In spring, the ground is carpeted with Convallaria majalis. Particularly rare and threatened plants include Convolvulus persica, Ephedra distachya, Merendera sobolifera, Plantago coronopus and Petunia parviflora. Over 300 species of bird have been recorded, of which over 176 species breed, the most important being: cormorant Phalacrocorax carbo sinensis (3,000 pairs), pygmy cormorant P. pygmeus (K) (2,500 pairs comprising 61% of the world's population), white pelican Pelecanus onocrotalus (2,500 pairs comprising 50% of the Palaearctic breeding population), Dalmatian pelican P. crispus (E) (estimated at 150 pairs, perhaps now only 25-40 pairs, on the floating islands on lake Hrecisca, which represents 5% of the world population), night heron Nycticorax nycticorax (2,100 pairs), squacco heron Ardeola ralloides (2,150 pairs), great white heron Egretta alba (700 pairs), little egret E. garzetta (1,400 pairs), purple heron Ardea purpurea (1,250 pairs), glossy ibis Plegadis falcinellus (1,500 pairs), white stork Ciconia ciconia (many), mute swan Cygnus olor (500 pairs), white-tailed eagle Haliaeetus albicilla (V) (8 pairs), marsh harrier Circus aeruginous (300+ pairs), osprey Pandion haliaetus (3 pairs), Saker falcon Falco cherrug (1-2 pairs), red-footed falcon F. vespertinus (150 pairs), Sandwich tern Sterna sandvicensis (1,700 pairs), common tern S. hirundo (20,000+ pairs), whiskered tern Chlidonias hybridus (20,000+), and black tern C. niger (10,000-20,000 pairs). White-headed duck Oxyura leucocephala possibly still breeds. Slender-billed curlew Numenius tenuirostris (K) has occurred on passage (28 in 1971 and one or two in 1989). 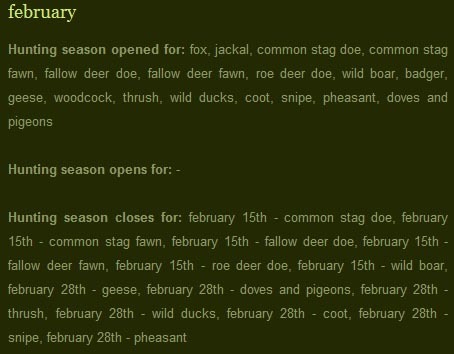 The Delta holds huge numbers of Anatidae in the winter with counts of 500,000 white-fronted goose Anser albifrons (but only 64,000-77,500 in 1982), up to 500 lesser white-fronted goose A. erythropus, 45,000 red-breasted goose Branta ruficollis (a globally threatened species with almost 95% of the world wintering population present here), 150,000 teal Anas crecca, 200,000 mallard A. platyrhynchos, 14,000 pintail A. acuta, 40,000 shovelor A. clypeata, 32,400 red-crested pochard Netta rufina, 970,000 pochard A. ferina, 13,000 ferruginous duck A. nyroca, and 1,500 red-breasted merganser Mergus albellus. In winter there is a concentration of some 30-40 Haliaeetus albicilla. The Delta is very important for fish with 45 fresh water species present including threatened representatives of the Acipensenidae. Otter Lutra lutra, stoat Mustela erminea, and European mink Mustela lutreola, as well as wild cat Felis sylvestris are to be found on the floating islands. The mink population, although its size is unknown, is apparently significant in European terms. The forest areas contain several rare reptiles, including Vipera ursini, Elaphe longissiuma, and Eremias arguta deserti.